Specializing in roofing replacement, roof repair and emergency service. To put a roof over your head literally means to provide a sense of security that will protect you from outside elements. When it comes to your home, the roof is just that. Providing a stable and secure shelter to protect your entire home is important. R&D Exteriors specializes in roofing for the Madison, Monona, Sun Prairie, Verona and surrounding areas for any of your roofing needs. We know that Wisconsin weather can be unpredictable, and the health of your roof is a major component of keeping your home safe during the blistery winter months. Specializing in roofing repair, emergency service and new construction builds, our craftsmanship and commitment to quality has you covered. After years of wear and tear, it’s likely your older roof could use a checkup, including replacing missing or broken and cracked shingles, monitoring for any wood damage or mold that could have an impact on other areas of your home if left unrepaired. If you’re building a new home, you want a roof that will last for years and years to come. We can help. Our team takes many things into account when beginning a roofing project, from the layout and function of your house, all the way to the look and aesthetic feel. Our 100% no-obligation consultations allow us to review and inspect your roof in order to make recommendations on what you need to make your roof a functioning system. Our quick turnaround and follow through in roof projects ensure that your home will pass any upcoming inspections. 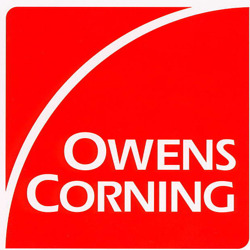 We offer you a wide variety of fiberglass asphalt shingles from Owen's Corning to meet every need and budget. We use products that are made to last up to 50 years and provide dependability and durability.